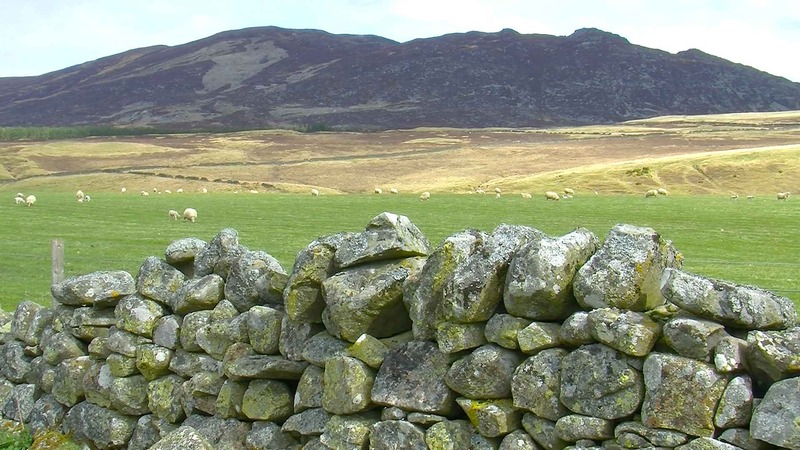 A farm from Scotland's mountainous region has received RDP support from different measures (including agri-environment payments) to help it produce quality food more effectively in ways which also look after the countryside. Pitmain farm is located near Kingussie within the Cairngorms National Park, which is a designated protected area. The farm is bounded by the river Spey to the south east and reaches deep into the Monadhliath mountains to the north west. Pitmain's farmland provides beneficial habitat areas for birds like Oyster catchers and Lapwings. Pockets of riparian woodland, species rich grass and wetlands are found on the farm, which takes in arable land on the river valley whilst environmentally-valuable semi natural grasslands and heather are found on the higher hill land. RDP support from agri-environment payments compensate the farm business for the costs involved in providing wildlife habitats and carrying out actions that contribute to flood plain management in the river basin. A wide mix of management actions range from moorland management on the hill to grass margins on the arable land. Support has also been used for flood plain management associated with the river Spey Special Area of Conservation. Current support is focused on management of hedges, wetland, water margins, habitat mosaics, flood plains and mown grassland. Fencing has been installed to manage grazing pressures and livestock are kept off parts of the farm during wildlife sensitive times like nesting. Outcomes have safeguarded and strengthened the quality of biodiversity habitats on the farm’s 4,590 ha. Multiplier effects include the conservation of landscapes and wildlife that attracts tourist income into the local economy. The farm has also been able to reinvest its RDP support in helping to improve the quality of its livestock and the efficiency of its operations - both of which have positive impacts on the overall competitiveness of the farm business. The RDP support has been used in ways that not only provide environmental benefits but also contribute to wider development objectives for the rural communities around Kingussie, and help to ensure that the farm can continue to provide quality food using sustainable agriculture methods that take care of the countryside for future generations to enjoy. Pitmain farm, Kingussie, Badenoch and Strathspey, Scotland, UK. The budget refers to the agri-environment payments the farmer receives per year (average payment 6.85€ per hectare).